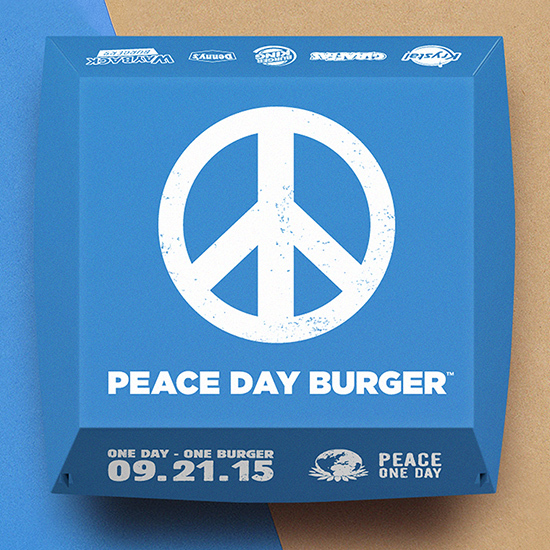 This year, Burger King (a very compassionate monarch) had an idea to bring extra attention to the event: Last week, in the name of coming together, the King asked longtime rival McDonald’s to help create a McWhopper—a mix of both brands’ signature burgers—the sales of which could be donated to the Peace One Day organization. While McDonald’s politely passed on the idea—ostensibly because they felt it appeared to be a fairly shameless PR coup built on the back of a serious issue—plenty of other burger brands jumped at the idea. Denny’s, Wayback Burgers, Krystal and Brazilian chain Giraffas all caught Burger King’s attention after reaching out via social media to say they’d love to get in on the planned collaboration. The new plan: “To create a burger that combines a key ingredient from each of [the company’s] signature sandwiches.” The other details, however, remain the same: This epic fast-food collab will be sold for one day only—September 21, 2015—in a special pop-up restaurant that Burger King is building in Atlanta, with plenty of proceeds and donations going to Peace One Day. With weeks to go before the increasingly co-opted International Day of Peace actually happens, it’ll be interesting to see whether any other fast-food chains are invited into the fray, as well as what the final Frankenstein-ian sandwich will look like. Burger King says the offer still stands for McDonald’s to join in—but as more and more burger joints jump on the PR bandwagon, it strangely seems like maybe Mickey D’s is the one taking the higher road here.